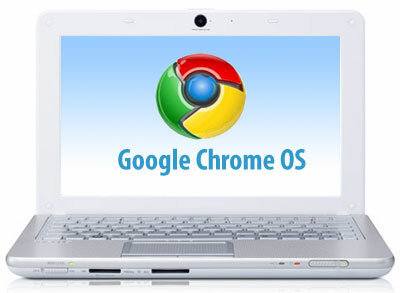 Operating systems chrome For Notebook on release on 15 June ~ " World Information "
CALIFORNIA - After two years of development, Opersi Chrome Systems for notebooks will eventually be present on June 15, 2011. Samsung and Acer will become the first company to use the devices Opersi Chrome Systems. Notebook Samsung who use these systems is expected to sail Opersi 12.1 inches, 8 hour battery and costs USD429 to USD499. While diprediksiberlayar Acer 11.6-inch notebook, battery and 6.5 hours worth of USD349 and above. Similarly, as quoted by Mashable, Thursday (05/12/2011). Sundar Pichai, Senior Vice President for Chrome developers while speaking at the conference Google I / O in San Francisco, said that Chrome Opersi notebook system will be available starting June 15. For the United States (U.S.) will be available at Amazon.com and Best Buy, while other countries will also be available at the same time. Google previously has tested Chrome Systems Opersi through CR-48 notebook, but not yet stable and still have many bugs. Chrome from Google Notebook is an attempt to create a cloud-based Sistemyang Opersi. Unlike traditional desktop operating systems like Windows and Mac OS X, System Opersi Chrome only works on web-based applications. As a result, System Opersi Chrome runs faster and more energy efficient. OS specially designed for this notebook is a response to Google's growing market of tablets. Analysts hope that this OS will also be used for tablets.